Lisa's Carolina | Handmade: Cake & Photography = a good distraction! Cake & Photography = a good distraction! Who can resist a slice of birthday cake with their morning coffee? Not me! 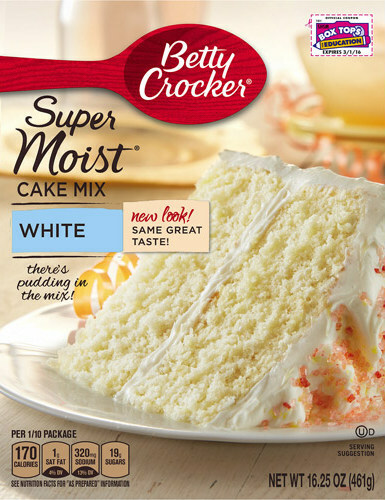 Back to the cake.... kept it simple by using Betty Crocker SuperMoist White store-bought cake mix. See there on the box front, below, "there's pudding in the mix".... that must be the secret ingredient to a melt-in-your-mouth, oh-so-delicious flavor. Follow the instructions on the back to add water, oil and egg whites..... bake as directed. Then I make my own buttercream frosting following the Wilton's Buttercream Icing recipe of 1/2 cup unsalted softened butter (not margarine), 1/2 cup shortening (only use Crisco), 4 cups sifted powder sugar (I always re-sift), 1 teaspoon vanilla (I use real, not artificial and not the clear one) and @2 Tablespoons of milk. A quick 'n easy homemade cake that tastes like a million bucks! ...compared to the first one where I changed the aperture and ISO settings, shown again in the photo below for comparison. I like this one better. Finally starting to feel like I am getting to 'know' my camera a little better. .... "just keep quilting.... just keep quilting..."! If you'll save me a piece of that birthday cake, I'll come do the binding on your quilt for you! I once asked a friend of mine who is an EXCELLENT quilter what was her favorite part of making a quilt. She said, "The binding because that means when it's done I can start something new." I don't mind putting on the binding just because it's kind of a mindless task and really does polish off the quilt in more ways than one! Come on over Mama Pea!! What fun that'd be to have an old-fashioned Quilting Bee sort of day! pretty cake, and perfect for breakfast. oh that cake is pretty! Go Go Go you can finish the quilt in time! Getting on Instagram was actually one of my first thoughts after buying my new phone.... so I could follow YOU and see all your fabulous creations!!!! Thanks Erin! !